It’s almost Canada’s 150th birthday!!! 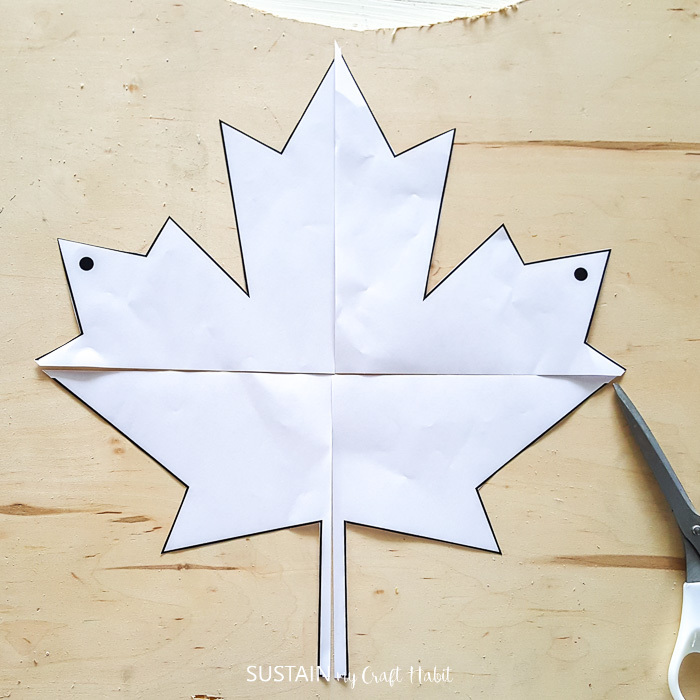 This month we’ve been sharing a number of Canada Day crafts to celebrate. 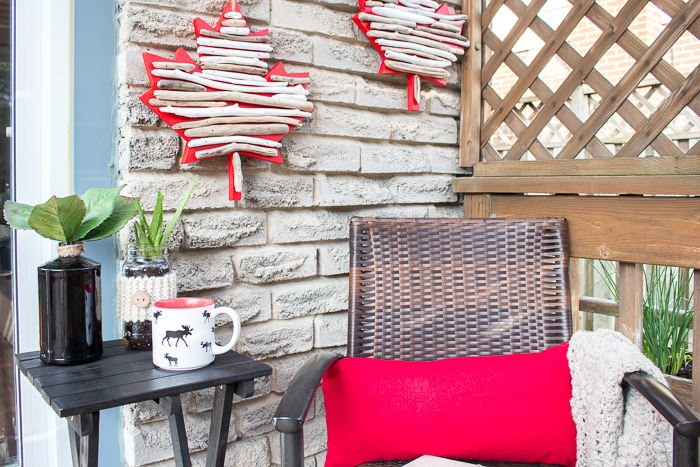 This maple leaf and driftwood wall art is a fun and unique piece of Canadiana decor that you’ll be proud to display year-round! How do you like to celebrate Canada Day? 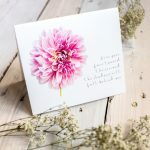 Ours is spent simply with family and friends, and most definitely there will be a BBQ involved. Although I don’t normally go all out in red and white decorations, this year feels different. It’s not only because of Canada’s 150th birthday (although that in itself is worth celebrating) but also because of the many struggles we keep hearing about in other parts of the world. I am feeling grateful and blessed to be Canadian so why not show it off, right? wow your guests with these last minute red and white themed party ideas. 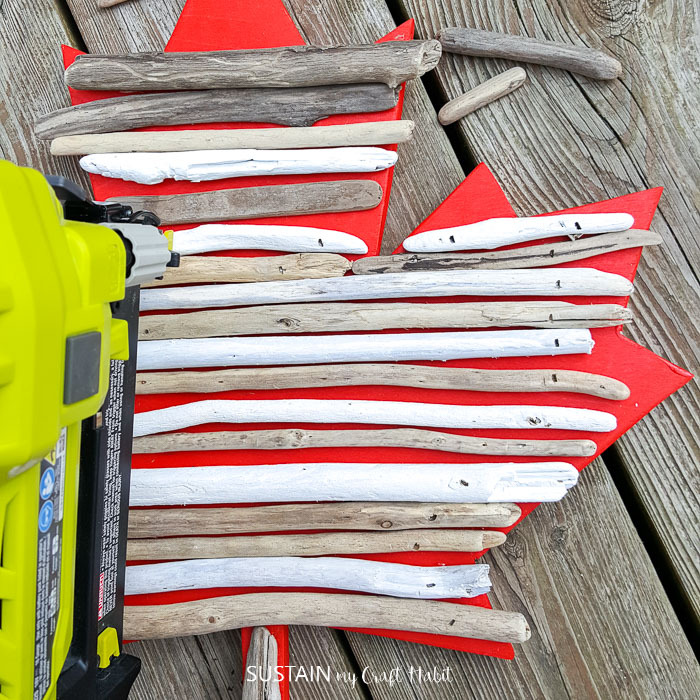 We’ve chosen to bring in a little coastal flare to our latest Canada Day DIY idea by incorporating the very Canadian driftwood we love to collect from the shores of Lake Huron. 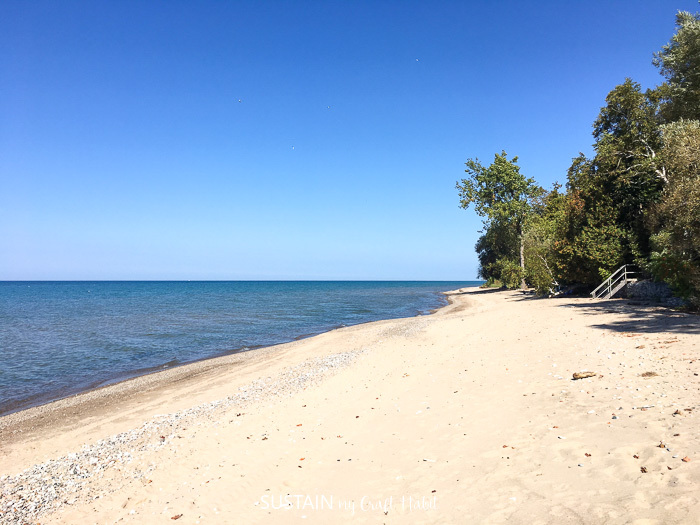 We’re not sure that even our fellow Canadians appreciate the incredible ocean and lake shorelines we have across our beautiful country. It’s hard not to mistake them for the beautiful Carribean islands sometime! 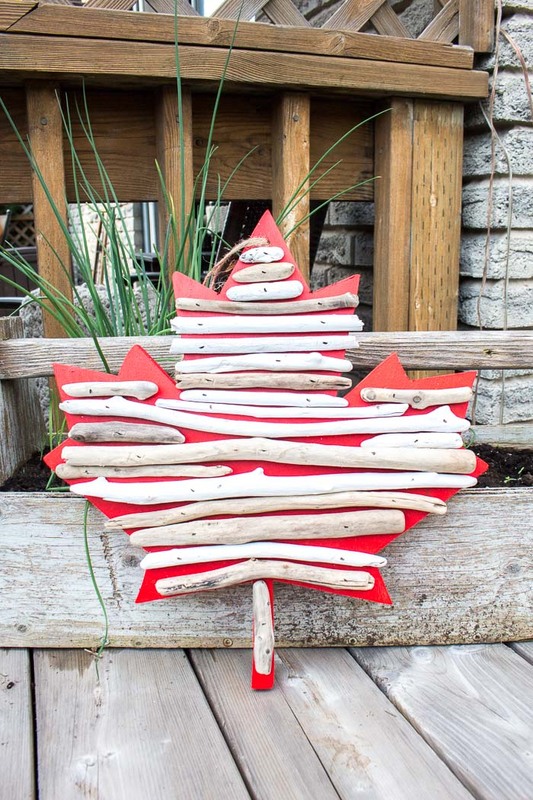 This Canada Day craft idea was inspired by our driftwood art piece we recently made for our Graystone Beach cottage bedroom makeover. 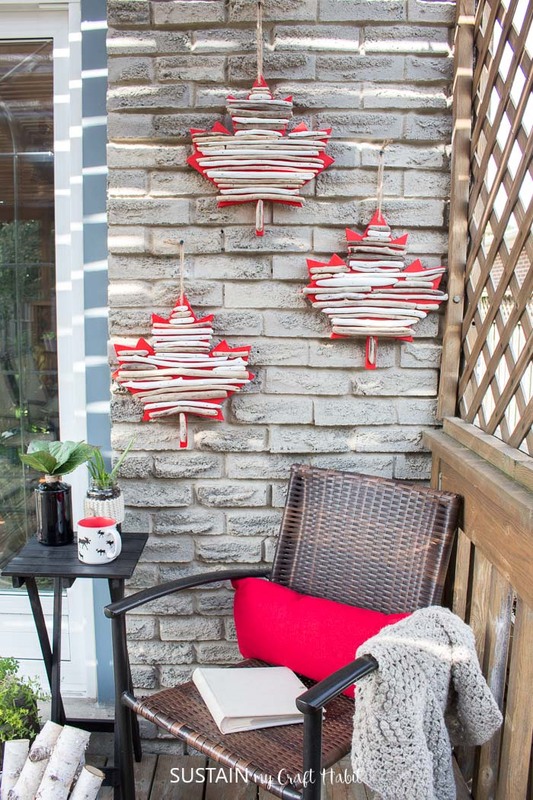 So, let’s get our Canada Day craft on! Disclosures: We have not received any compensation for this post. 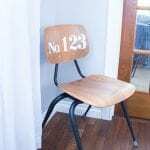 However, we have (and continue to) receive products from DecoArt. 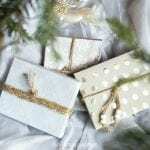 This post also contains affiliate links (indicated with *) for your shopping convenience. You can find our full disclosure statement here. 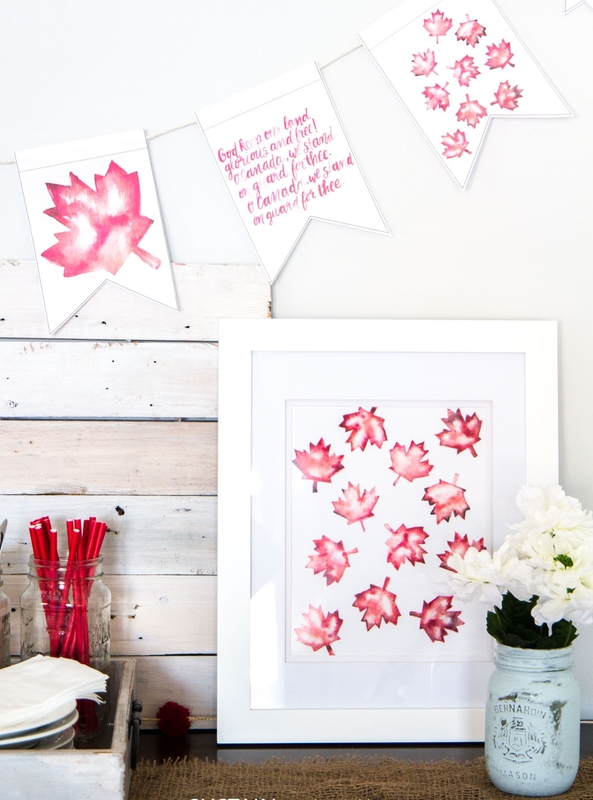 Print off the maple leaf template onto 4 sheets of 8.5″x11″ sized paper. 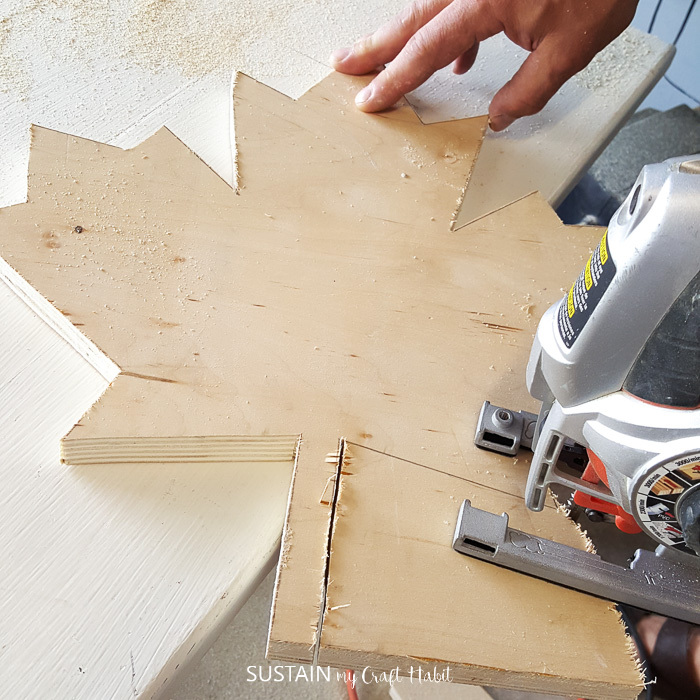 Cut the template out and align the maple leaf cutout on top of the sheet of plywood. 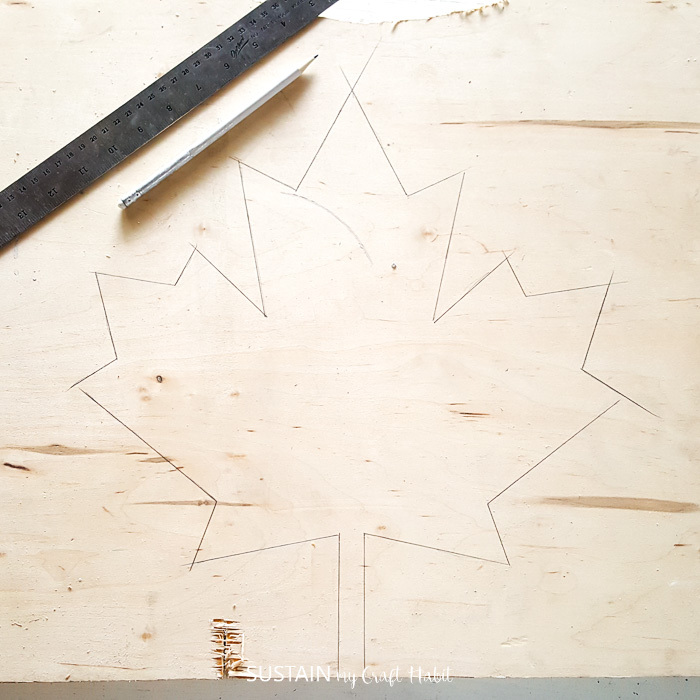 Using a pencil mark all of the points and corners and redraw the maple leaf shape using a ruler directly onto the plywood. 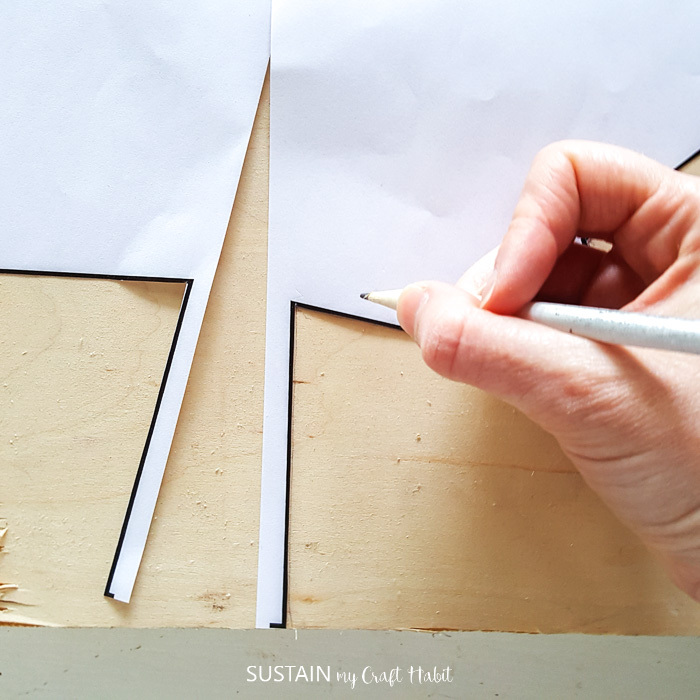 Holding the plywood securely begin cutting out the shape using a jigsaw. 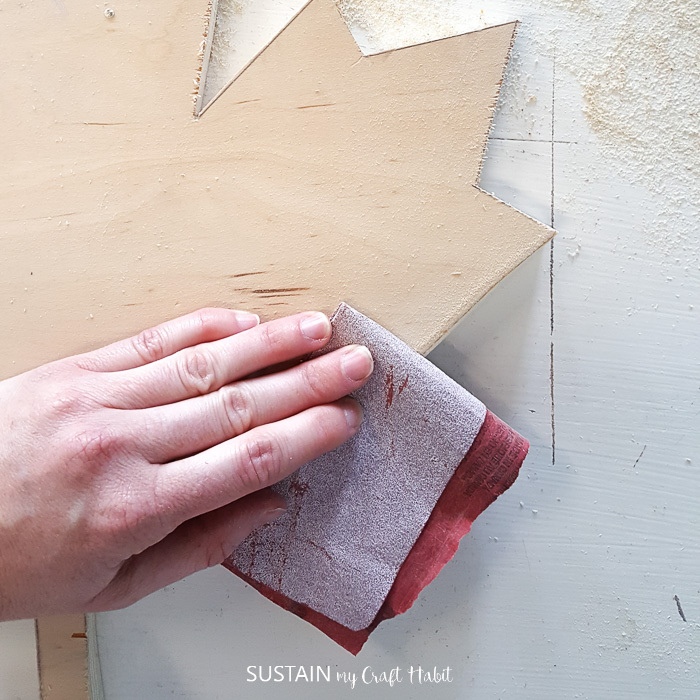 Once the maple leaf is fully cut out, smooth all rough edges and corners using a piece of sandpaper. 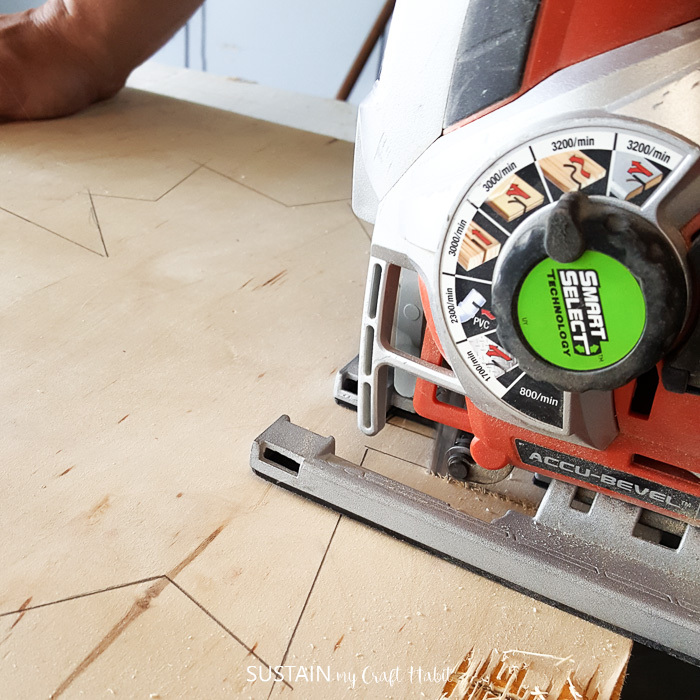 Drill a hole through the maple leaf at the top center about 1” from edge (this hole will be used to thread twine through for hanging later). 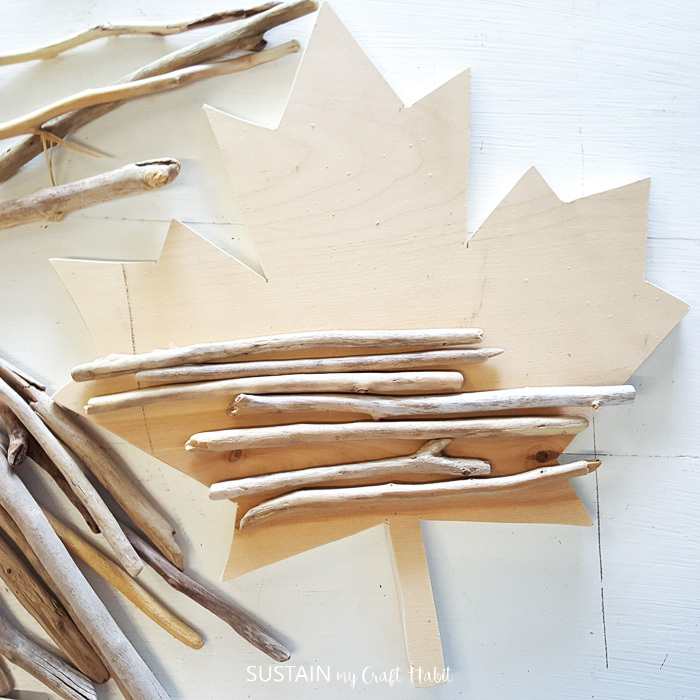 Determine the pieces of driftwood to use by laying them on top of the maple leaf cutout. When you’re happy with the look, move the driftwood pieces aside for painting. 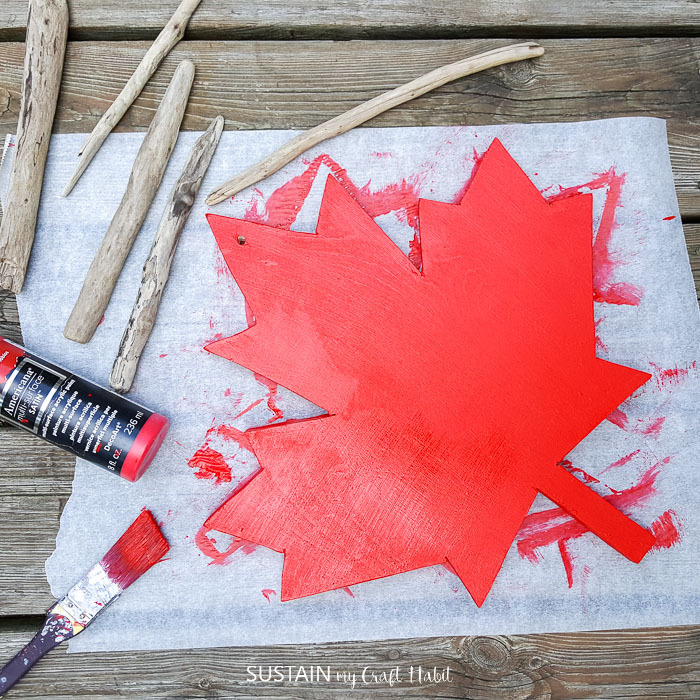 With your working surface protected, paint one side of the maple leaf cutout using red exterior paint. Paint all of the sides as well and leave to dry before turning over and painting the other side. 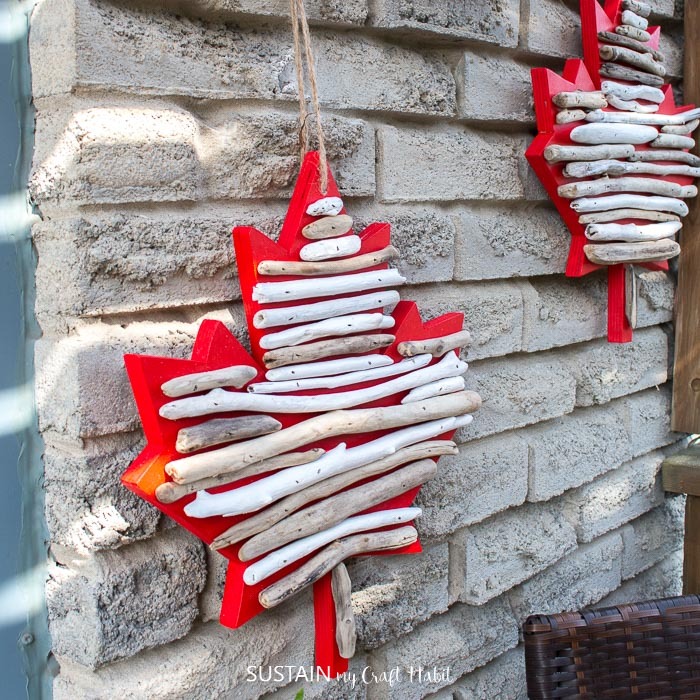 In the meantime, select random driftwood pieces to paint in exterior white paint. 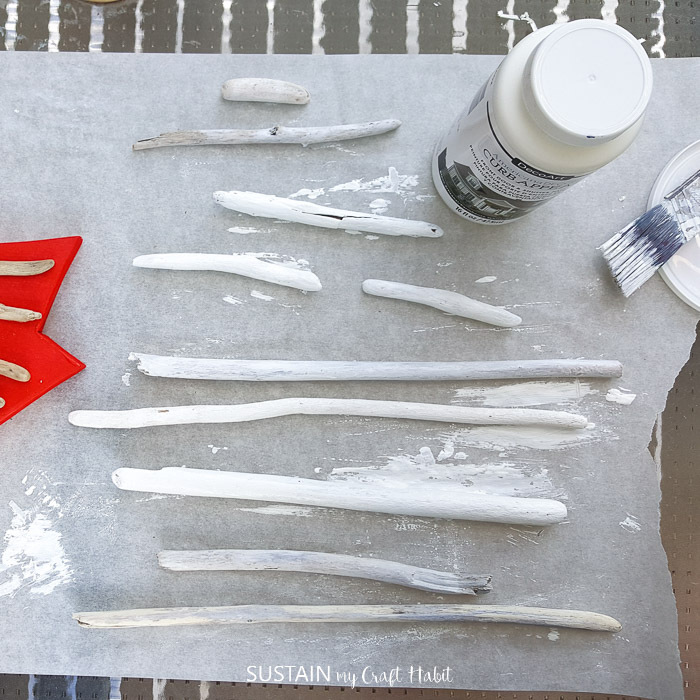 Additionally, you can water down the white paint to give some of the driftwood pieces a white washed look. Leave all pieces to dry fully before moving on to the next step. Reassemble the driftwood on top of the painted maple leaf and begin to nail driftwood securely in place. Nail on both ends of each drift wood piece or just the center as needed to ensure the driftwood is secure. 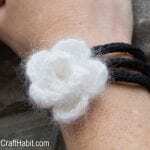 Attach a piece of twine for hanging. 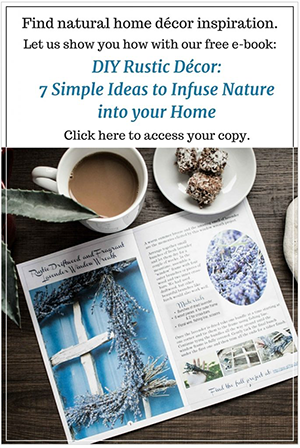 Show off your Canada spirit by displaying your new Canadiana art piece as a wreath on your front door or, as I did, and hang them onto the exterior of your home or fence. 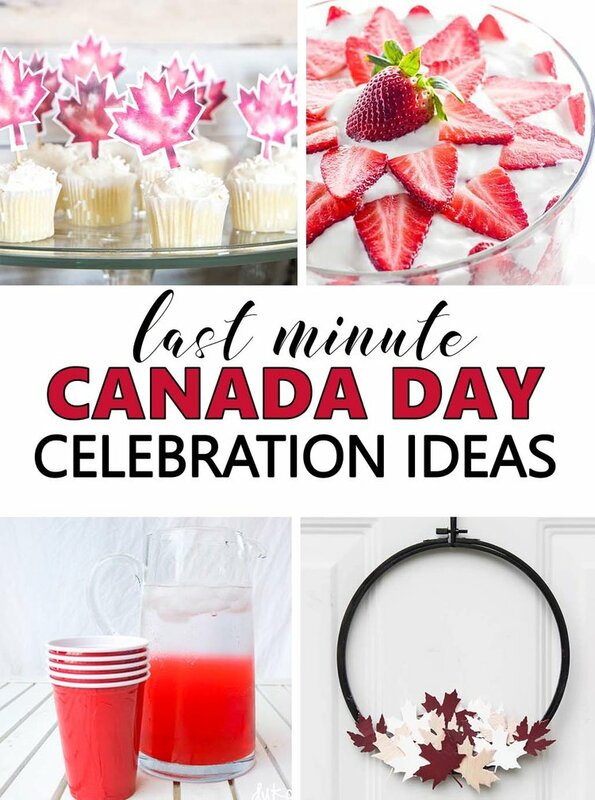 We’d love to see your Canada Day celebration ideas! 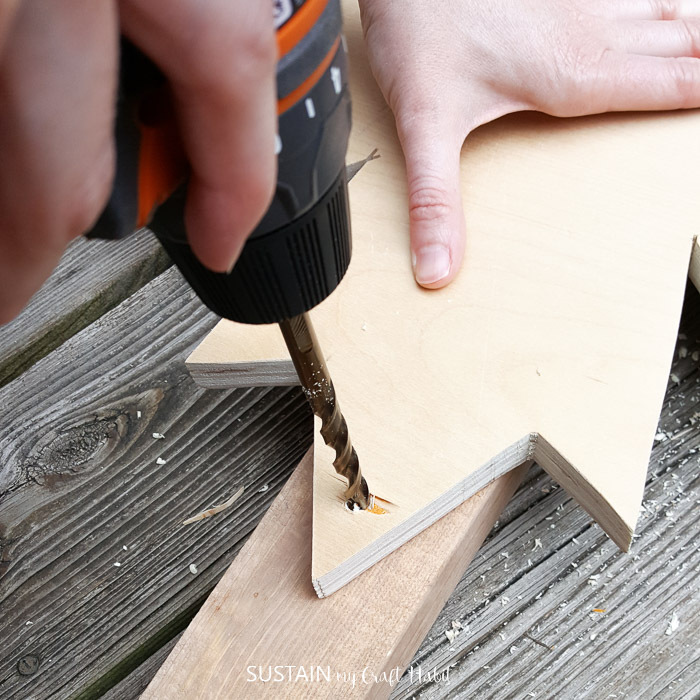 Share with us @SustainMyCraftHabit on Twitter, Instagram or Facebook. 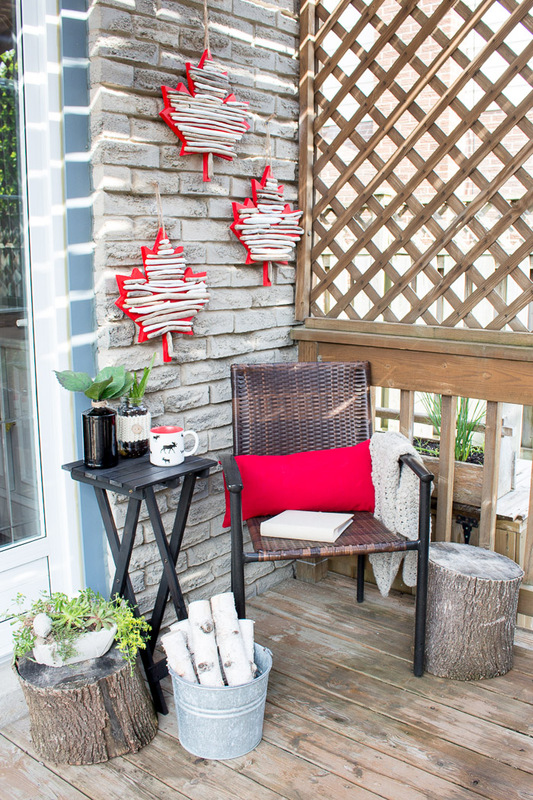 Do you have plans for celebrating Canada Day this year?